MOTOROLA milestone series phone has received great popularity since its debut, as a result, the third generation DROID product MOTO DROID 3 also catches the public eyes. 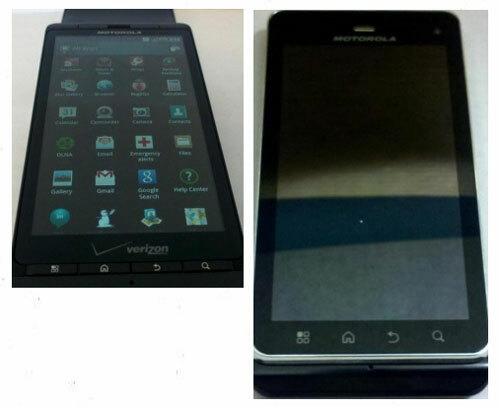 Recently, the real pictures of MOTO Droid 3 have been put on the internet. Let’s take a look at some detailed information of MOTO Droid 3. Compared to the previous two generation products, there are some changes in the appearance and the integral style. Motorola has redesigned the full keyboard, adopting five-line QWERTY layout, adding a line of digit buttons to the top so that users can input digits quickly without the help of combination keys. As the upgraded version of MOTO DROID 2, MOTO DROID 3 has made great improvements on hardware configuration, from 3.7-inch WVGA touch screen to 4.0-inch qHD Touch Screen. Besides, the embedded camera of Motorola Droid 3 has upgraded to 8-million-pixel level, with not only LED flashlight and auto focus function, but also with 1080p video recording and 1080p video playback function. At the same time, it provides with Mirror Mode which allows users to HD TV or movies on mobile phone, and it can also link to LCD TV by means of new added HDMI interface. Dual-core processor is introduced to MOTO DROID 3. This time it is equipped with TI dual-core processor which has made a great improvement on the integral performance. According to some related information, TI OMAP 4 platform adopts 45nm technology, with dual-core Cortex-A9 MPCore processor chip and built-in POWERVR SGX540 graphics engine and exclusive ISP, supports 1080p multi-standard video recording and playing. Based on the test data, MOTO Droid 3 will run on Android2.3.3 system, and the test result surpasses Samsung and LG flagship products. The specific release date of MOTO DROID 3 has not been settled down. It is quite possible that it will be put into the market in July. 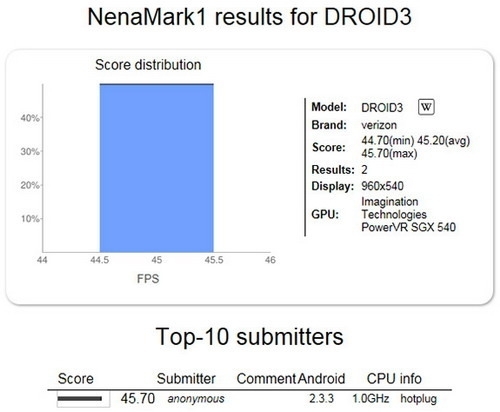 The pictures of MOTO Droid 3 has been exposed not long before and now the configuration information of Droid 3 has been announced by NenaMark testing software, the signal indicates that Droid 3 is actually not far away from us. Compared to the previous two generations, Droid 3 is a little bit different from them in appearance: the screen size is from 3.7 inch to 4 inch with 960×540 resolutions, adopting Android 2.3.3 system, employing TI OMAP platform 45nm A9 dual-core processor and with embedded PowerVR SGX540 graphics engine. Currently, the built-in PowerVR SGX 540 core of most mobile phone runs at 200MHz while TI OMAP 4 platform achieves 50% overclocking. Due to a greater RAM and higher frequency, Droid 3 performs quite excellent with 45.2 frequency average, just as well as Tegra platform. Meanwhile, Droid 3 is equipped with front-facing camera and 8-million-pixel rear camera. Not only does it owns LED flashing and automatic focus support function, it also provides users with 1080p video recording and playback functions. In addition, it offers with Mirror Mode and is LCD TV linkable through HDMI. It is still not clear when will Motorola Droid 3 come into the market. But it is reported that it will be available on the third quarter 2011. Motorola is always fond of releasing numerous follow-up versions for its classical model. Since the two generations of its Milestone series have been welcomed by the public, it is no doubt for Motorola to release the upgraded version again. The photo of MoTo Droid 3 has exposed last month, and now it is at presence again through the BlueTooth Qualification Test. 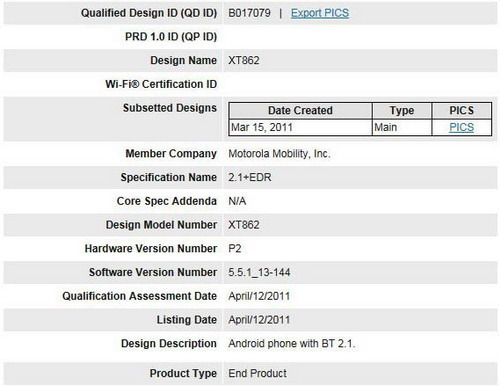 Although the real machine of MoTo Droid 3 has not been revealed at the BlueTooth Qualification Test this time, it has brought us with some important information, for example, the code name is “Solana” and the future model of this mobile phone is XT 862. A lot of Medias have ever considered this was actually MoTo Droid 3 and were quite surprised at the totally different method of definition of this phone from other Droid phones. As a matter of fact, what is approved by the BlueTooth Qualification this time is the GSM version of Droid 3—Milestone 3. Except for the confirmation of phone model and identity, as the successor of MoTo Milestone 2, MoTo XT862 will introduce dual-core processor. On the other hand, according to the latest news this phone does not employ Nvidia Tegra 2 dual-core processor but continues to use TI OMAP product. Compared with the other phones, it takes advantage of the brand-new multi-core OMAP 4 application platform which has made a great improvement on overall performance. According to the relevant data, TI OMAP 4 platform adopts 45 nanometer technology, with dual-core Cortex-A9 MPCore processor chip, embeds with POWERVR SGX540 graphics engine, provides ISP for exclusive use, supports full 1080p HD recording and playback, and the excellent power management technology can support 10-hour 1080p HD video playback. Motorola Droid series and Milestone series are different from each other in network support and similar to each other in hardware configuration. 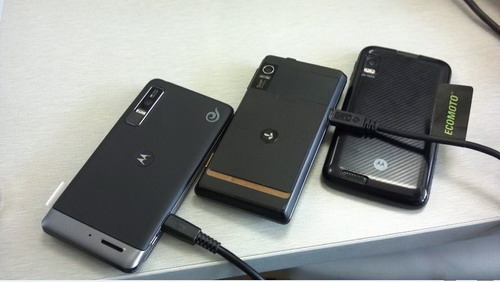 So the specifications of the Motorola Milestone 3 will be identical to the Droid 3. That is to say, the 3.7-inch WVGA touch screen will be upgraded to 4-inch qHD (960*540) so as to reach the top level of the current smartphone. 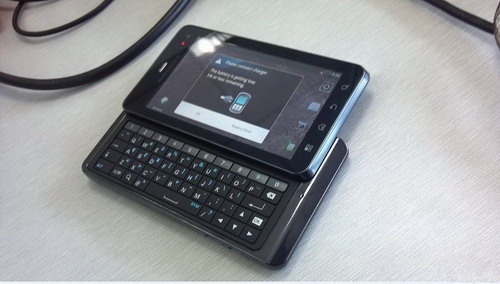 Motorola Milestone 3 also adopts sliding QWERTY keyboard design and is thinner than the previous two generations. The keyboard presses increases from 4 rows to 5 rows so that text input will be easier. Furthermore, HDMI is added to one side of the phone body, users can play the HD videos on other devices through connecting line. Motorola Milestone 3 will also adopt double camera configuration. The front-facing camera guarantees users to achieve video call through high-speed network. The master lens at the back will be upgraded to 8-million pixels and it owns with the functions of LED flashing light and automatic focusing, supports 1080p video recording and playing. Meanwhile, the machine will also provide Mirror Mode which enables HD TV video playable on mobile phone and makes phone video playable on LCD TV by linking with the new-added HDMI connector. As for the other functions, Motorola Milestone 3 is similar to other models: supports GPS navigation, 3.5-mm headset interface, WLAN connection, Bluetooth, mass storage, etc. It is still unclear whether it will support 4G network. Although the exact release day has not been revealed, it is probably to make a debut in May. Let’s wait and see until then! Motorola Droid X adopts straight touch modeling design and with a 4.3-inch screen. The visual effect presented in 480×854-pixel capacitive touch screen is rather dazzling. Droid X is equipped with the top flagship configuration so it is with powerful performance: employing Android OS V2.1 operating system, deploying TI OMAP363. 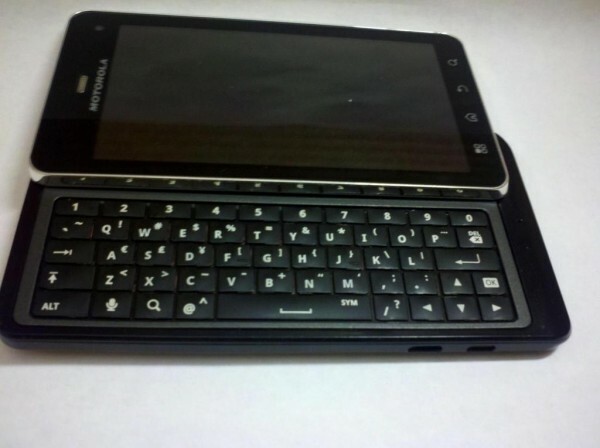 processor which is up to 1GHz and 8GB ROM+512MB RAM memory. An 8-million-pixel camera is attached to the back. It supports 720P HD video recording and auto focus function so it is with high imaging quality. In addition, WIFI, Bluetooth and GPS are also within reach. Undoubtedly, Motorola Droid series smart phones have become its successful products which own numerous fans in the global smartphone market. Marked as the latest product among its smart phones, the exposure of Motorola Droid 3 has caused great attention. And recently more and more photos of this smart phone have been revealed. 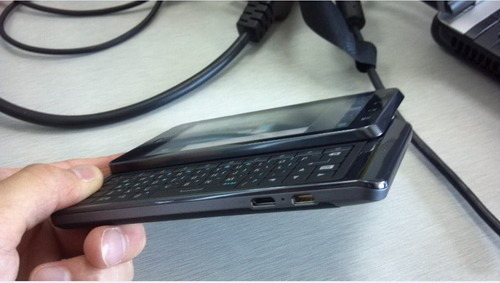 According to the news, Motorola Droid 3 has also inherited the classical Motorola Droid series sideslip QWERTY design. 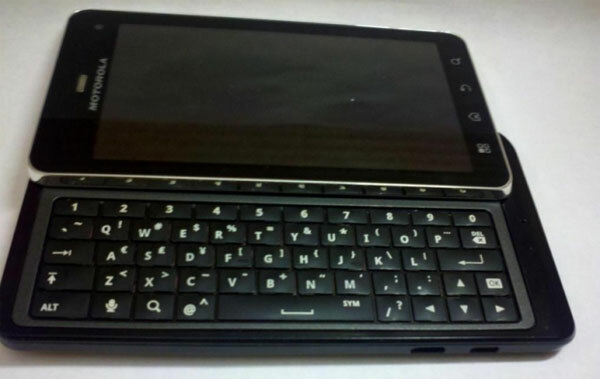 But compared to the previous two products, Motorola Droid 3 QWERY adopts 5-row button design and owns independent digital key, so the practicability of QWERTY has been greatly improved. As to operating system and hardware configuration, Motorola Droid s is likely to employ Android 2.3 system, 4-inch qHD capacitive touch screen, HDMI output interface and front-facing camera. Besides, Motorola Droid 3 is still under the customization of Verizon. And more surprisingly, you can enjoy any video on Motorola Droid series products since so many useful tools have arisen to convert video to this smart phone. You can enjoy more with this cool phone. If you want to get more information of Motorola Droid 3 just keep coming back here and I will provide you with the latest news.